Communities supported include Gunyangara, Nhulunbuy, and Yirrkala. In April 2018, Tanaya joined Jawun as Regional Manager for North East Arnhem Land. Prior to working for Jawun, Tanaya spent 9 years working across various roles for Suncorp, most recently as an Effectiveness Advisor. Here she managed programs and initiatives that primarily focus on strategy, change management, risk, customer and engagement and enablement for over 500 employees across four states. 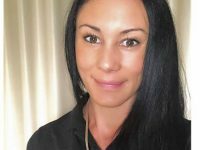 In her spare time, Tanaya enjoyed volunteering for Indigenous health programs aimed at closing the gap on Indigenous health through positive prevention strategies. This passion lead her to take a career break to lead the Indigenous Healthy Lifestyle program at her local Aboriginal Medical Centre Awabakal Ltd.
Tanaya draws on her experience of human centred design, community engagement, project and event management, change management, and delivering on strategy into the role as Regional Manager.